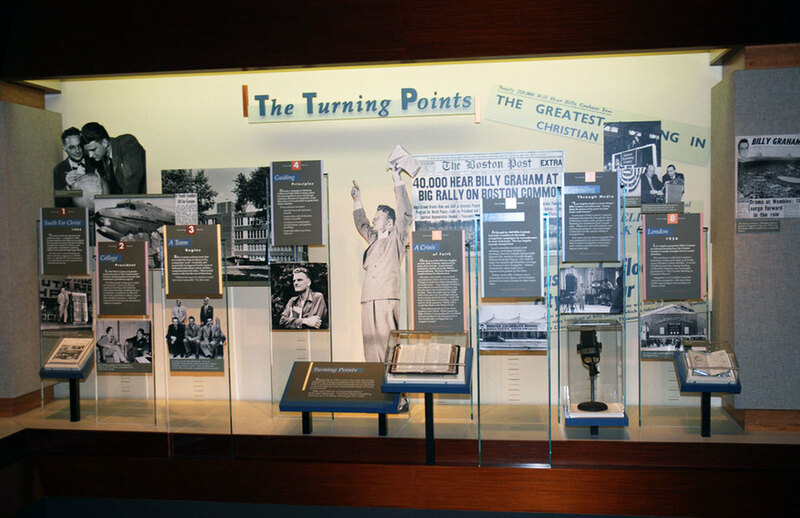 This 10,500 square foot museum is dedicated to interpreting the life and work of the Reverend Dr. Billy Graham and his ministry. Reverend Graham is presented in the context of a great historical lineage of evangelists in the Americas. Visitors encounter exhibits such as the quiet woodland scene which transforms, as they watch, into a tent meeting suffused with the sounds of preaching and congregational response; and the replica of an early movie theater which plays Movietone News clips of pioneering evangelist Billy Sunday. 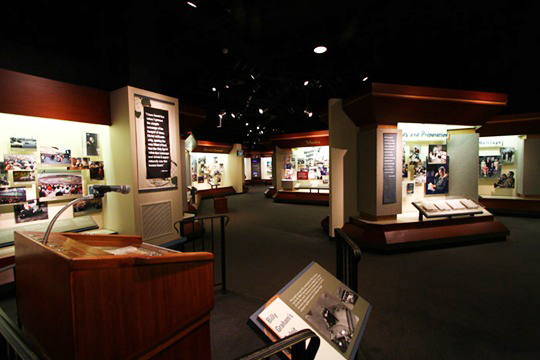 Later exhibits presenting Dr. Graham's Ministry utilize interactive AV stations to challenge and engage visitors. 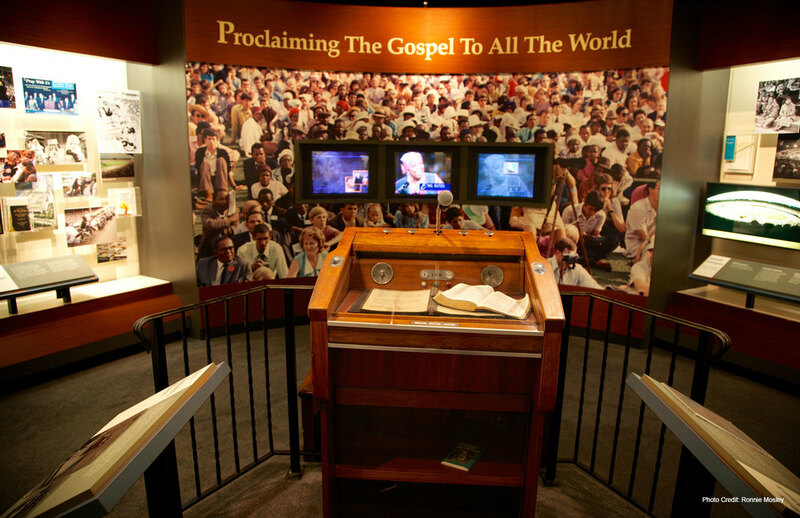 Immersive environments and theatrical presentations invite visitors to experience one of Dr. Graham's Crusade events. 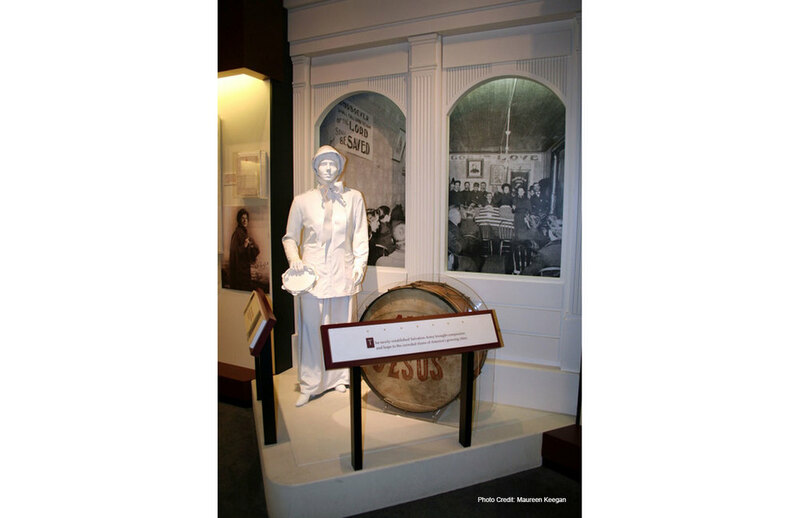 An exhibit atmosphere has been created that is infused with the reverence of worship and the vigor of evangelistic fervor. "I want to thank you for the excellent work you have done in the design for the museum. It has been receiving a wonderful response since it opened, and we are indebted to you for your considerable talent applied to this whole project."